Calling all walkers! 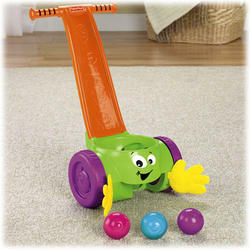 This friendly push-along character scoops up colorful balls, whirls them around, and sends them popping! 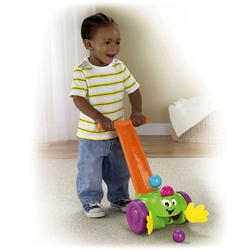 Not only will your child have fun playing with this toy, but they?ll also be encouraged to walk, helping them strengthen balance and coordination skills. Requires 2 AA batteries.